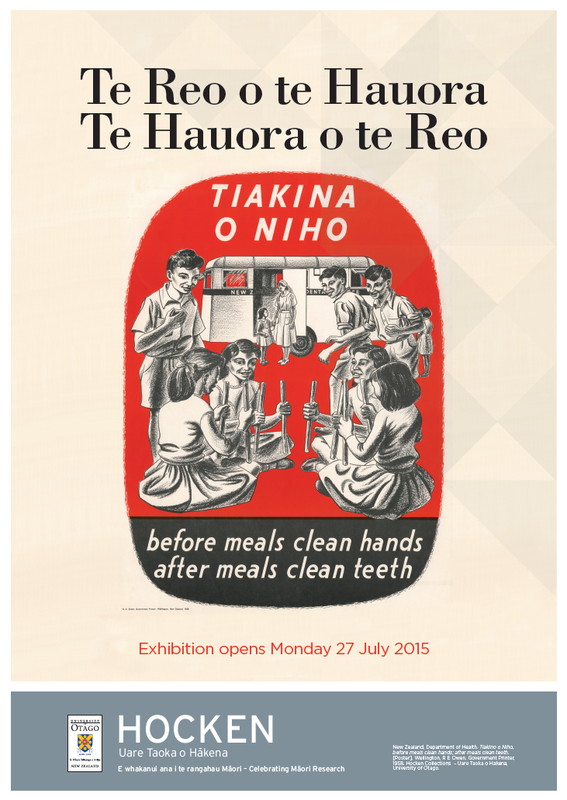 Tapa Whenua – Naming the land. 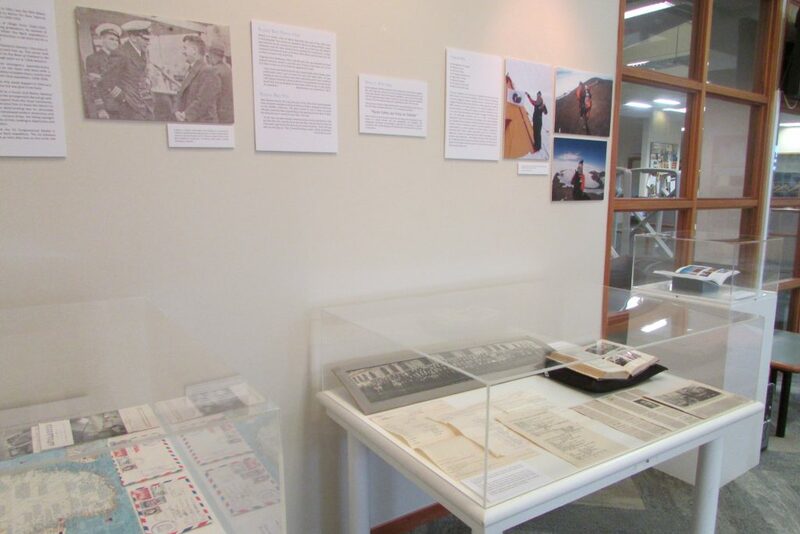 A display in the Hocken Foyer 8 to 19 July 2013. For Māori, place and place names act as constant reminders not only of where one is, but of who one is – without one the other does not exist. Māori named the landscape as a way of emphasising claim to the land, to describe features, to immortalise people or events for historic or spiritual reasons and to celebrate cultural icons. In the absence of a written language, naming the land committed the landscape to memory. The events and characteristics associated with the landscape anchor it and give it a durable reference, as well as floating access to a huge range of oral information. In this way, Māori place names are peopled and named at a variety of levels. The wealth of information within the maps and manuscripts on display in the Hocken foyer, were created by Māori in the post-European era, for reasons other than what Māori needed to know about or to express to themselves. Information was offered to, or maps were drawn at the request of British officials, surveyors and other Europeans to explain the lay of the land and its access routes, the location of resources, flat land, good soil, fishing grounds and safe anchorages. Māori who created the maps and provided the information within the manuscripts could clearly describe spatial relationships and had a fundamental sense of where they were geographically, preserving as much tightly compacted and coded material by reducing complexity to an information-rich abstract. European needs may have defined the focus of the materials on display, but not the instinctive style nor the acute knowledge of the land that is within them. The Māori who authored these maps and manuscripts provided information about the land via a conversation, a korero. It was the supporting richness that existed within the oral tradition that embedded the layers of information within the land, making the Māori landscape a human landscape filled with stories. 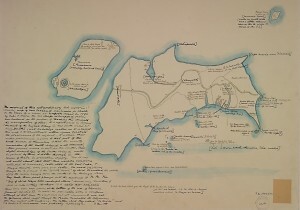 Within both the maps and the manuscripts on display, one can readily visualise this. The talking, the drawing of lines to illustrate, the conferring, the calling on a huge floating resource of story, song, experience, myth, spirituality, history, learned detail, relationships, genealogies, memories, paths walked, food resources gathered and the feel and smell of the presence of the land. The Southern Districts of New Zealand: From the Admiralty Chart of 1838. 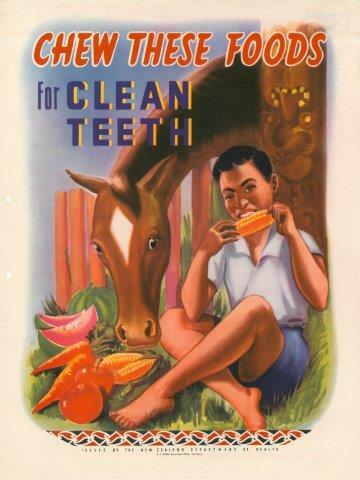 Hocken Collections. Illustration above. New Zealand map drawn by Chief Tuki-tahua and Huruhuru, 1793. Hocken Collections. 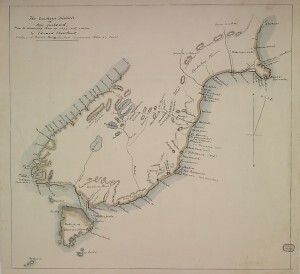 Map of lakes in the interior of Middle Island from a drawing by Huruhuru, 1844. Hocken Collections. Beattie, James Herries. 1935. Note book containing notes on Maori place names and folk-lore. MS-582/E/4. Beattie, James Herries. 1941. 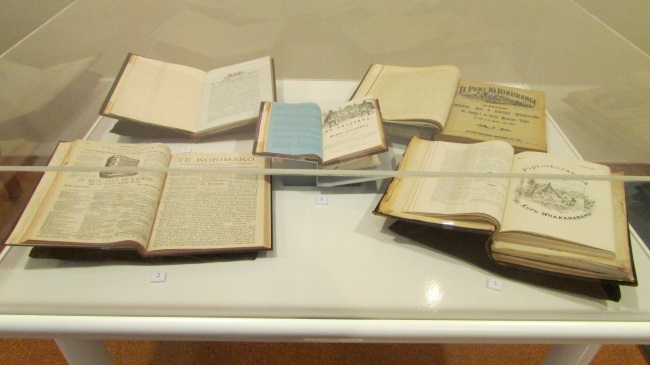 Nature and general information gathered between 1920 and 1940 from Maori. MS-582/W/11. Beattie, James Herries. General Information, book 3. 1942. MS-582/E/13. Beattie, James Herries. General Information, book 5. 1953. MS-582/E/15. Beattie, James Herries. Notebook entitled ‘Maori notes from notebook of Eruera Poko Cameron. 1935. MS-582/E/4. Beattie, James Herries. Notebook of John Kahu. 1880-1882. MS-582/F/14/a. 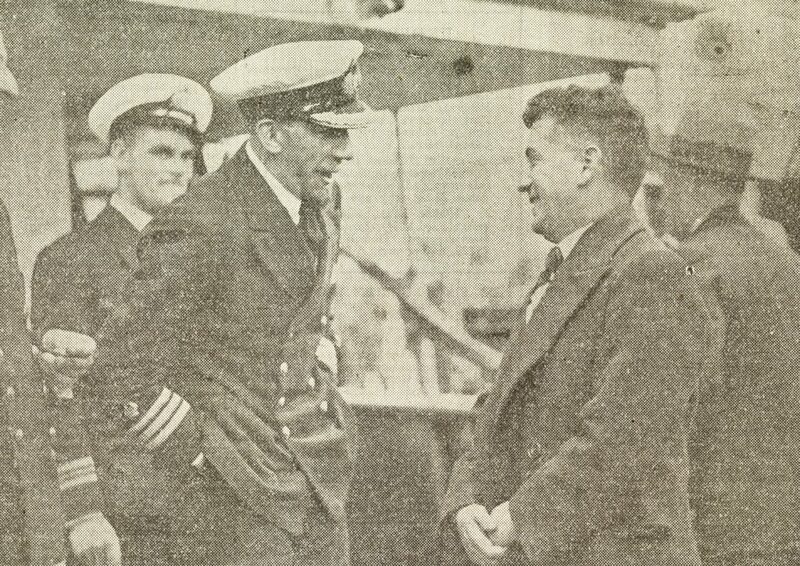 Beattie, James Herries. Notebook entitled: Notes on South Island place names, mostly in Otago. N.d. MS-0416/001. 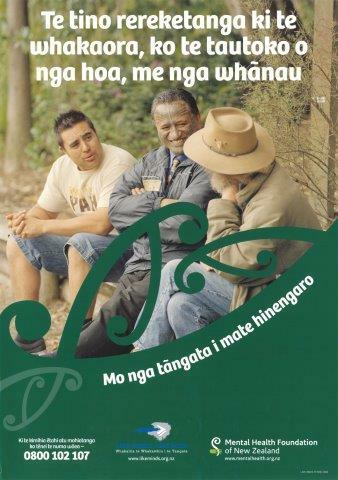 E ngā kōtuku rerenga tahi, koutou ngā manu tioriori, i waiho mai i ngā raukura nei hei tākiri i te manawa, hei hiki i nga parirau, kia taea ai te hōkai ki te rangi, tēnā koutou. Before the written word in New Zealand, Māori lived with an oral language reaching back to the homeland of Hawaiki. Within an oral tradition there is company and conversation, ritual and performance, and the warmth and intimacy of the human voice. 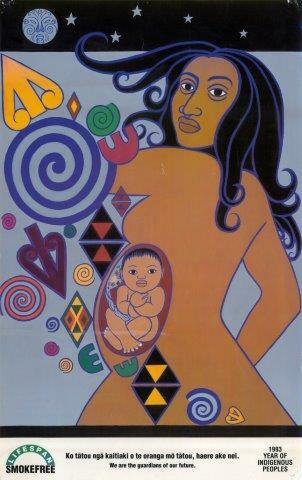 That voice is carried on the living breath, linking the present to the ancestral past. It was into this world of oral knowledge that the early Europeans introduced a print culture and its attendant literacy. Once Māori mastered the art of writing as well as an introduced orthography, they became prolific correspondents. Māori wrote not only to each other, but also to the new governing power. In their correspondence, Māori developed a written convention based largely on the protocol of the marae and particularly that of whaikorero. 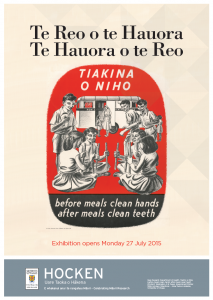 Letters on display, one from Wiremu Tamihana Tarapipi Te Waharoa illustrate this use of the oral tradition extending into letter writing. 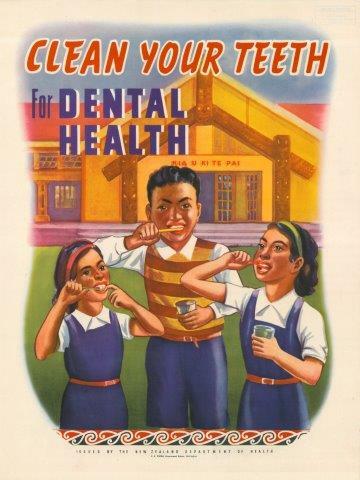 The introduction of literacy also saw changes to Māori language use with a shift of emphasis from the ear to the eye. It was no longer necessary to commit the words of rituals to memory because they could be written down and referred to when required. 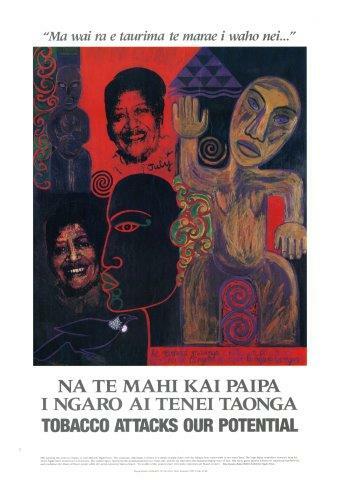 This resulted in Māori families across Aotearoa committing genealogies, tribal histories, chants and proverbs to the written page rather than to memory. 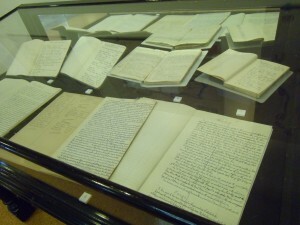 Many of these notebooks have found their way into heritage collections such as the Hocken and some of these are included in the exhibition. As the literate Māori population burgeoned in the 1830s and 1840s, Europeans were also employing learning technologies intent on gaining insight and understanding into Māori language, knowledge and culture. Illustrating this are two taonga from Europeans who lived in the Waikouaiti area. 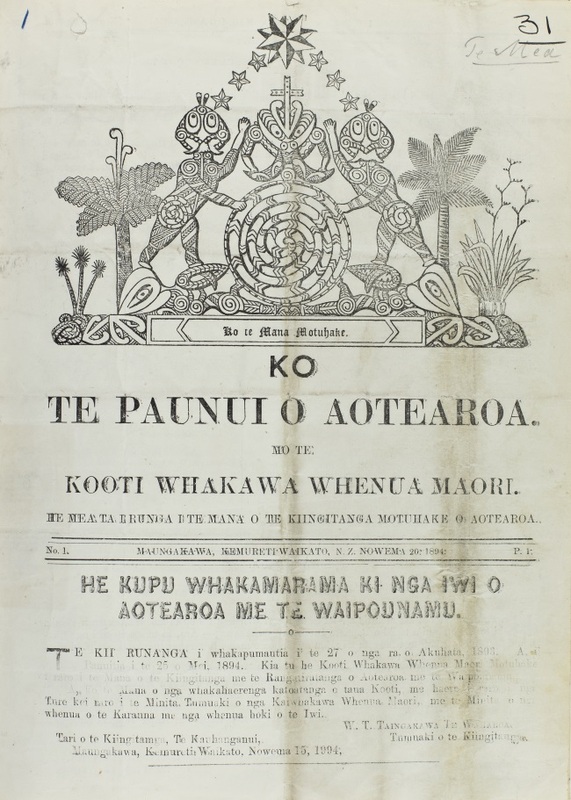 Wesleyan Missionary James Watkin’s notebook of collected Māori vocabulary shows Kai Tahu dialect and Watkin’s detailed enthusiasm for learning te reo rakatira. Also on display are Land agent W.B.D. Mantell’s unique bundles of cards recording phonetically, the names of hapū of Otago. Presumably they were developed by Mantell as a mnemonic learning device to understand the relationships between groups of hapū and their associated land and natural resource rights. 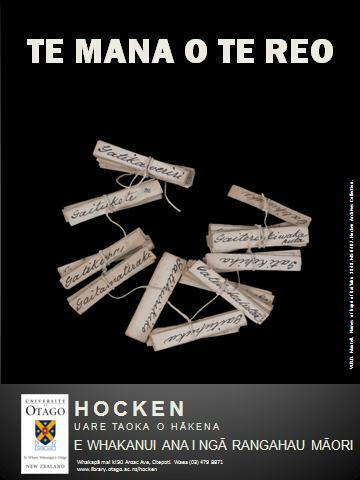 On display at the Hocken Collections is a simple exhibition of 10 taonga. 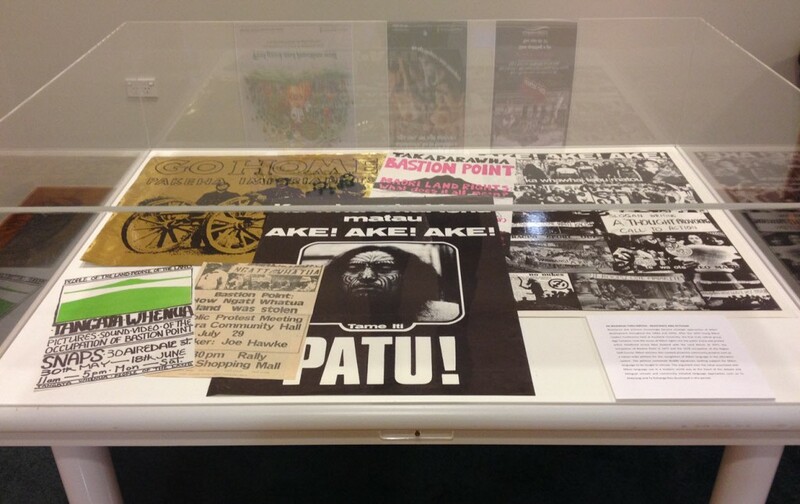 The exhibition was co-curated with Associate Professor Poia Rewi, Dr Katharina Ruckstuhl and Nikita Hall from the University of Otago who are researching Māori Language use among Dunedin whānau. We wanted to bring together a collection of taonga that celebrate the enduring mana of the Māori language; taonga that illustrate how the oral tradition, invigorated by the written word, continues to express the tone and soul of the people. Tēnā anō rā tātou katoa. Ka huri. 1. 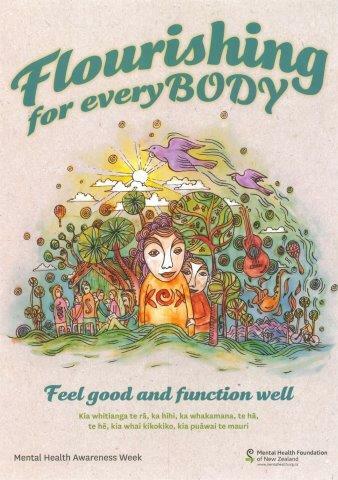 A Korao no New Zealand. Sydney: Printed by G. Howe, 1815. Facsimile. WI. Hocken Collections. 2. Alphabet sample written by Hongi Hika, c.1814. No.68 in Samuel Marsden Correspondence 1813-1815, MS-0054, Hocken Collections. 3. Letter from Wiremu Tamihana Tarapipipi Te Waharoa to Edward Shortland, 1 May 1866. Shortland Papers, MS-599/1, Hocken Collections. 4. Letter from Matene Te Whiwhi, Otaki, 19 November 1863. Shortland Papers, MS-0385/002, Hocken Collections. 5. Mohi Ruatapu (Ngāti Porou) Manuscript containing whakapapa, karakia, historical narratives, May 1875. MS-0045c, Hocken Collections. 6. 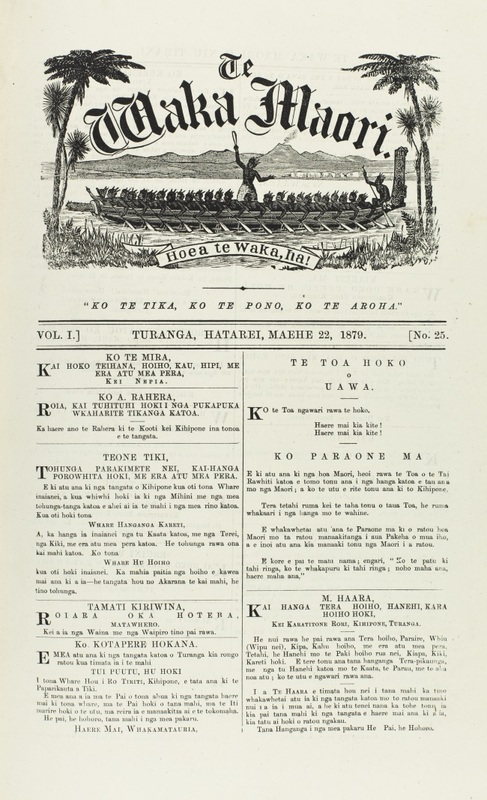 Hauhau Prayer Book entitled Karakia mo te Hauhau, c.1860. Misc-MS-0175, Hocken Collections. 7. Notebook of Southern place names, waiata and vocabulary, c.1929. Ulva, L. Belsham Papers, Misc-MS-0933/002, Hocken Collections. 8. Vocabulary of Māori words compiled by Reverend James Watkin at Waikouaiti, c.1840. MS-0031, Hocken Collections. 9. W.B.D. Mantell, Names of hapū of Kai Tahu, 1848. MS-0402, Hocken Collections. 10. Digitised pages 1-15 of vocabulary of Māori words compiled by Reverend James Watkin at Waikouaiti, c.1840. MS-0031, Hocken Collections. 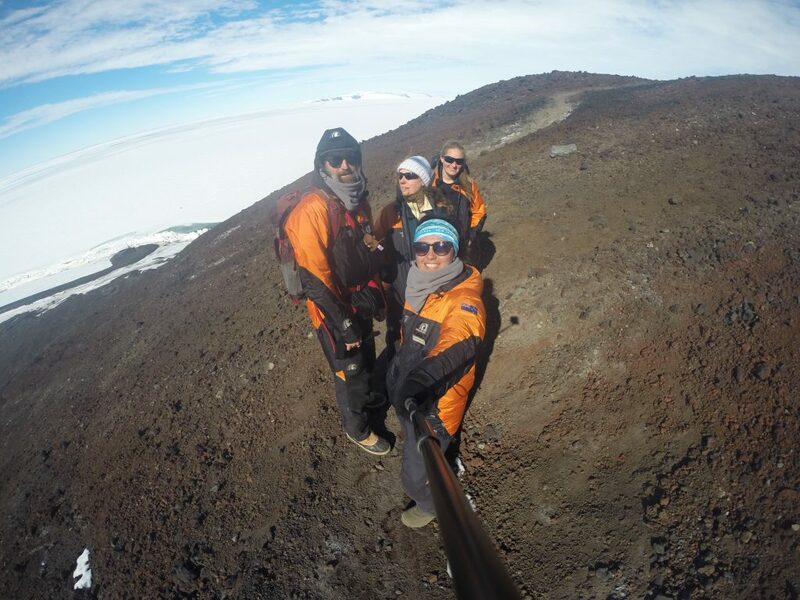 Audio by Takiwai Russell-Camp (Kai Tahu). Jeanette Wikiara is the Māori Resources Portfolio Librarian at the Hocken Collections, University of Otago.